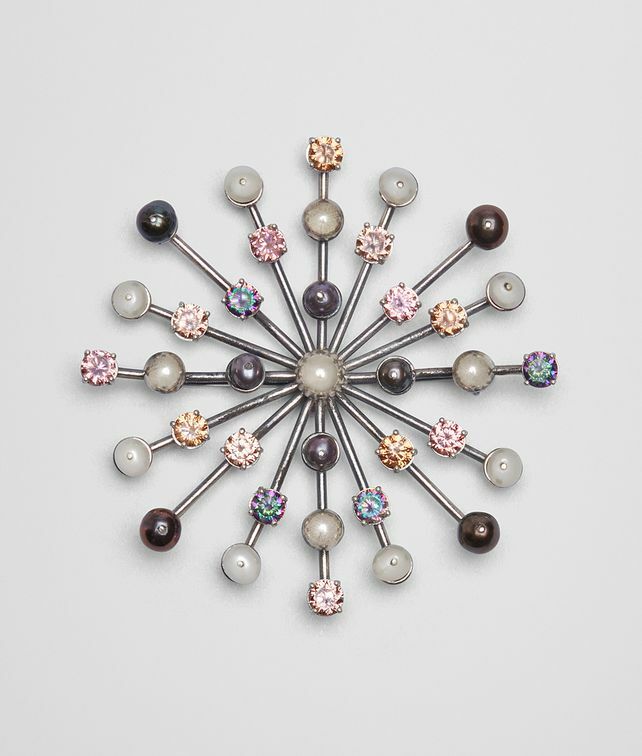 This striking brooch, featured in the Cruise 2019 presentation, is designed in a starburst shape with a fresh mix of freshwater pearls and cubic zirconia stones. Wear a single one or group multiple pieces as it was shown in the presentation for added statement. Diameter: 5.6 cm | 2.2"